I have to admit. Drinking great Pinot Noir is one of life’s most endearing pleasures and I unapologetic that I get to do it practically every day. Even more special, I get to meet extraordinary people who are involved in the production and sale of Pinot Noir and whose unwavering passion never bores me. I recently traveled to three wineries in the Russian River Valley, two of which I had never visited, and one in Carneros, and came away reveling in my good fortune. Each winery offered a lineup of incredible wines, the quality of which is so high, it is practically impossible to make critical distinctions as to desirability (scores in some critics’ parlance). So, I won’t bother, other to give you a feel for the wines and encourage you to explore them on your own. There is always the danger of “cellar palate” when visiting a winery where you can easily be seduced by the romance of winemaking and the charm of the people presenting the wines. After many years of visiting wineries, I believe I can distance myself from extraneous attractions and concentrate on the wines. I have absolutely no hesitancy in recommending the wines from these three producers. Since the wines reviewed below were tasted rather briefly, I have chosen to give my general impressions and rate them on a scale of good to very good. Many of the wines would undoubtedly be worthy of my highest Pinot Geek award if tasted and evaluated over time in my usual fashion at home. 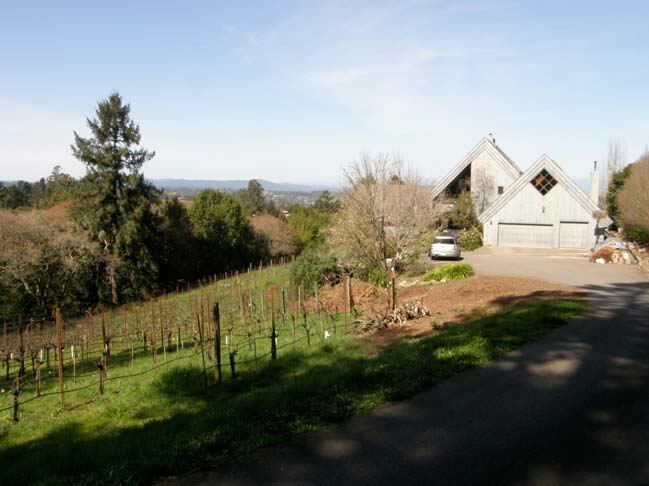 Ross Halleck invited me to visit his home and adjacent vineyard located at 900 feet elevation in the eastern Sebastopol hills, part of the Sonoma Coast region of Sonoma County. I was received and treated to the same tour and tasting that he offers to those who chose to visit and sample his wines. Appropriate food was matched with the wines as the midday affair progressed from a picturesque setting next to the vineyard to a deck in the back of the house overlooking the Russian River Valley. It was a very gentile way of familiarizing myself with Halleck Vineyard’s latest releases. I had reviewed several vintages of Halleck Vineyard Pinot Noirs beginning in 2003, but had not tried the current 2008 vintage releases. 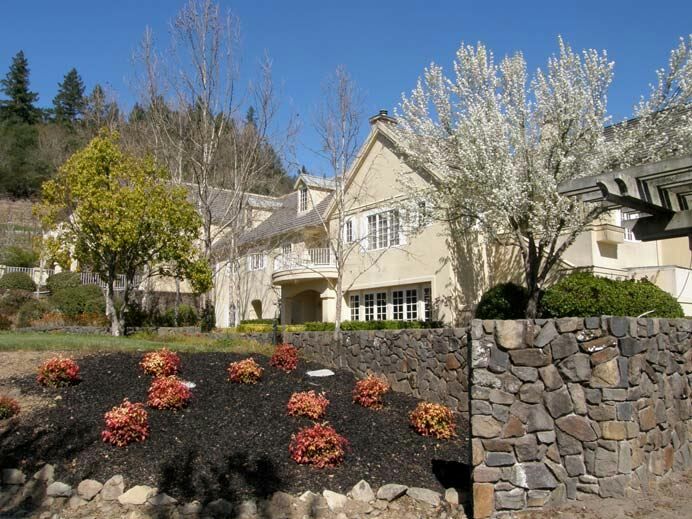 Ross founded a very successful marketing agency based in Palo Alto, but bitten by the wine bug, he acquired a relatively isolated property in Sebastopol, and by 1991 had moved his former spouse, Jennifer, and their three sons to the home on the site. Buoyed by Jennifer’s experience working in the wine industry and their shared passion for wine, they planted a 1-acre vineyard surrounding their home. Ross admits that he was very fortunate, dumb luck if you will, that the site turned out to be so perfect for growing Pinot Noir. Dijon clones 115, 667 and 777 were planted in 1992 and 1993 by the Dutton family and first harvested in 1999. The aim was to set aside profits from sale of the wine from this estate vineyard to pay for their three sons’ college educations. This has proven unrealistic as the small vineyard has not always offered a significant commercial crop because of the challenges of growing Pinot Noir there. The Hallecks expanded their Pinot Noir offerings by sourcing fruit from other nearby premium growers. They now produce a Pinot Noir blend from two vineyards called the Three Sons Cuvée, an Estate Pinot Noir, a Hillside Cuvée Pinot Noir from neighboring vineyards, and two vineyard designated Pinot Noirs, Hallberg and the Farm. A dry Russian River Valley Gewürztraminer from Saralee’s Vineyard is also offered. The winemaker is Rick Davis who currently crafts wines for several other labels including Londer Vineyards, La Czar Vineyards and Calstar. Ross and Rick’s aim is to produce Pinot Noirs that are earthy and savory rather than simply fruity. The winemaking regimen is as follows. Grapes are 100% de-stemmed, whole berry fermented, cold soaked for 5 days, fermented in open top bins, and aged 9-10 months in about 30% new French oak barrels. Production is about 1,500 cases annually and the wines are sold primarily through a mailing list (visit www.halleckvineyard.com). A list of retailers and restaurant placements is included on the website. Inquire by e-mail for an appointment to visit and taste. 14.9% alc., pH 3.47, TA 0.614, 800 cases, $40. Sixth vintage. Sourced from the Farm and Hallberg vineyards. · Moderately light reddishpurple color in the glass. Relatively modest in intensity but flavorful featuring a core of well-spiced, dark red cherries and complimentary oak. An easy drinking and versatile wine. Good. 14.9% alc., pH 3.49, TA 0.589, 282 cases, $60. 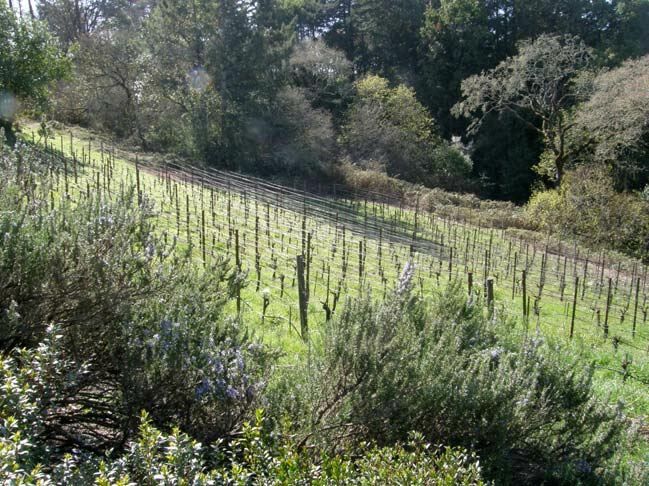 A vineyard off Highway 116 near downtown Sebastopol owned by Brice Jones at the site of the former Hallberg Apple Orchard. Dijon clones 777 and 115. · Alluring aromatic profile featuring scents of fresh berries, cherries, forest floor and spice. Flavors of dark cherries, ripe strawberries, peppery spice and sandalwood. Seamless and long on the finish. Very good. 14.3% alc., pH 3.36, TA 0.607, 247 cases, $45. · Aromas of savory dark fruits and forest floor. Bright and crisp flavors of deep red cherries and berries with hints of spice, cranberry and acid-driven minerality. Good. 14.6% alc., pH 3.26, TA 0.626, 231 cases, $60. Vineyard planted in 1999. Dijon clone 777. · Moderately dark reddish-purple color in the glass. Fresh, ripe wild berries are featured on the nose and palate. The most intense, dense and earthy of the Halleck offerings, yet balanced beautifully by vibrant acidity. Well-managed oak and nicely proportioned tannic bones. Very good. 14.1% alc., pH 3.53, TA 0.595, 36 cases, $75. Yields of 1 to 1.5 tons per acre. Vineyard is picked by family and friends. · This is a virtuoso wine that offers a complex array of aromas and flavors that defy adequate description. A chameleon in the glass that changes constantly over time. The middleweight core of dark red and black berries is quite exotic, seemingly coating every nook and cranny in the mouth, and finishing with an intense and lasting flourish. Ross says this wine makes him “tear up,” and I can understand why. Very good ++. 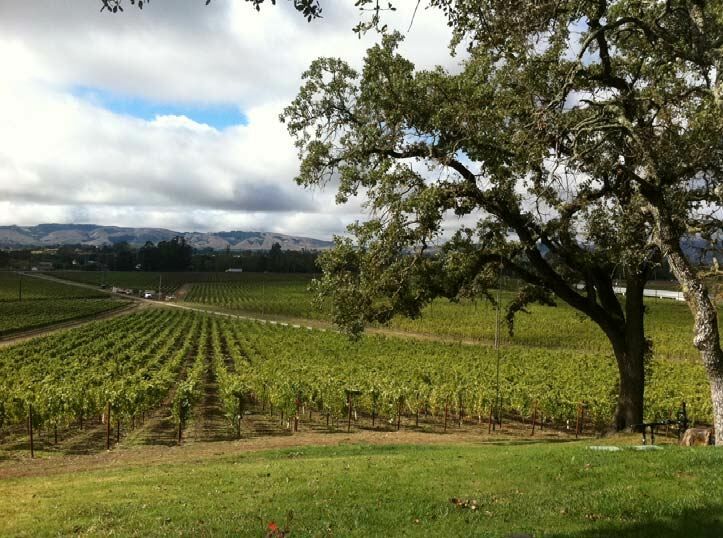 Jackson Family Farms bought the former Laurier Winery out of bankruptcy in 1992 and the first commercial crush was in 1994, consisting of two Pinot Noirs and one old vine Zinfandel. Don and spouse Jenny, Jess Jackson's daughter, are now the sole owners of Hartford Family Winery. The most recent winemaker was Jeff Mangahas who left in 2011 for a position at Williams Selyem and was replaced by veteran winemaker Jeff Stewart, formerly of Buena Vista Carneros. Jeff was a young assistant to Merry Edwards in 1989 when the winery was known as Laurier Winery, so his winemaking career has come full circle. I tasted through many of the 2010 Hartford Court Chardonnays and 2009 Hartford Court Pinot Noirs with Jeff recently. Although I have been a fan of Hartford Family Winery wines for a number of years, I had never visited the winery and saw my chance when Jeff came on board. The 2011 wines will be Jeff’s first full vintage. I tasted a few from barrel and they appear to be very promising. Pinot Noir and Chardonnay are bottled under the Hartford Court label and Zinfandel carries the Hartford label designation. Pinot Noir is sourced from vineyards in the Russian River Valley, Green Valley of Russian River Valley, Sonoma Coast, Carneros and Anderson Valley. A Russian River Valley Chardonnay and Pinot Noir are offered as excellent entry-level wines, with the remainder of the lineup being vineyard designated or special block bottlings from single vineyards. Hartford Family Winery wines are sold through the winery’s online store at www.hartfordwines.com, the winery’s Wine Club and through limited retail distribution. Various tasting options are offered in the tasting room that is open daily. A seated private library food and wine pairing experience is coming soon. $28. A solid entry level wine sourced from several estate and non-estate vineyards. Many of vineyards are 15 to 20 years old. Inaugural vintage for this bottling. · Very light straw color in the glass. Fresh aromas of green apples and spice. Light on the palate with appealing flavors of baked apple and roasted nuts. An easy drinker and great value. Good. 14.6% alc., pH 3.52, TA 0.55, $60. 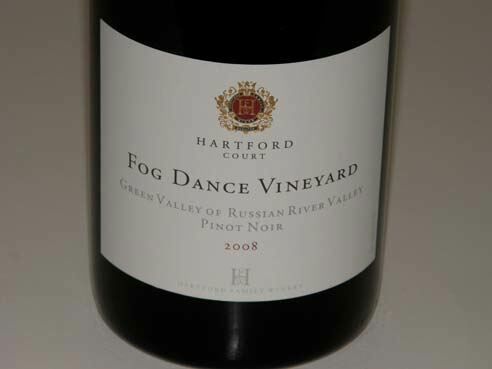 Named for the dance performed by the Pacific fog that drifts through the vineyards and back again to sea each day. Planted in 1998 to Dijon Chardonnay clones 95, 96 and 809. Aged 15 months in 20% new French oak barrels. Inaugural vintage of this bottling. · Light straw color in the glass. Aromas of green apple, pear, lemon curd and petrichor. Flavors of baked pear, lemon, apple and brown butter. Rich, yet refined and crisp. Very good (+). 14.5% alc. pH 3.59, TA 0.60, 450 cases, $65. A 6-acre site west of the town of Occidental planted in the late 1980s. The vineyard borders the well-known Coastlands Vineyard. Extremely cold site that is often harvested in November. Aged 15 months in 50% new French oak barrels. Unfined, unfiltered. · Medium straw color in the glass. Striking minerality, even salinity on the nose. Citrus-driven flavor, crisp and clean with a slightly viscous mouth feel. Very good (+). 3,000 cases. An entry level wine but a solid one. · Very aromatic, displaying scents of fresh berries and sappy cherries. Soft and gentle on the palate with lighter weight flavors of red cherries and berries with a good cut of citrus-driven acidity on the finish. Good (+). 14.5% alc., pH 3.74, TA 0.56, 250 cases, $60. The vineyard is located south of Fort Ross adjacent the well-known Coastlands Vineyard. Dijon clones 777, 114 and 115 with some 2A. Yields are only about 1 ton per acre. Native yeast fermentations. Aged 15 months in 45% new French oak barrels. Unfined and unfiltered. · Well-spiced black raspberry and black cherry fruit with hints of spice, vanilla and peat. A very soft and elegant wine with gossamer tannins that is irresistible. Very good. 14.3% alc., pH 3.75, TA 0.53, 300 cases, $60. From an estate vineyard near Saintsbury’s Brown Ranch and Shafer’s Red Shoulder Ranch. Primarily Dijon clones 667 and 777. Native and cultured yeast fermentations. Aged 15 months in 60% new French oak barrels. · Moderately deep reddish-purple color in the glass. Deep, darkly fruited nose with complimentary notes of spice and oak. Earthy and tannic, reflecting the heavy clay soils of this vineyard. Rich black cherry and dark red berry flavors with a velvety mouth feel. Good. $60. The vineyard is located in the deep end of the Anderson Valley and one of the last vineyards to be harvested. · Moderate reddish-purple color in the glass. Nicely spiced dark red fruits on the nose. Impressive mid palate intensity and staying power on the finish. Delicious red and blue fruits wrapped in ripe, firm tannins. Laser-like in its focus and purpose. Very good (+). $60. Named after Don and Jennifer Hartford’s daughter Hailey. From a block of Arrendell Vineyard planted to Dijon 114 and 777 clones. · Aromas of red cherries and raspberries, baking spice including allspice and floral garden. Moderately intense dark red fruit flavor accented by spice. Soft tannins and reasonably good length on a finish that has a very soft landing. Good (+). 15.4% alc., ph 3.59, TA 0.55, 1,637 cases, $45. Unreleased. Primarily from the estate Far Coast Vineyard. Native yeast fermentations. Aged 15 months in 45% new French oak barrels. Unfined and unfiltered. · Moderately dark reddish-purple color in the glass. Array of dark stone and berry fruits on the nose with nuances of petrichor and forest floor. Full-bodied and rugged with a core of purple fruit compressed by firm tannins which linger on the dry finish. Young and tight. Good. 14.7% alc., ph 3.46, TA 0.61, 300 cases, $85. Planted by Dutton in 1975 with Martini heirloom selections. More recently, Dijon clones have been added. Struggles to ripen less than 1 ton per acre by Halloween. The winery’s flagship wine. · Layers of aromatic interest offering scents of black cherries, kirsch, spice and oak. Soft and luscious on the palate with mouth coating flavors of black raspberries lingering on a well-endowed, memorable Grand Cru finish. Relatively soft tannins create a sleekness but keep the fruit in line, while a bright cut of acidity adds vibrancy. A very special wine of character. Very good (++). 14.5 alc., pH 3.66, TA 0.56, 350 cases, $60. From an organically farmed estate vineyard planted in Goldridge fine sandy loam with primarily Dijon clones 667 and 777. Aged 15 months in 40% new French oak barrels. Unfined and unfiltered. · Dark reddish-purple color in the glass. Complex aromatic profile with scents of exotic berries, citrus peel and forest floor. Very different tasting from other wines in the lineup. Dark red and purple fruits are vivid and brightened by perceived heightened acidity (minerality) and caressed by soft tannins. Impressive aromatic intensity and length on the finish. Very good (+). Founded in 1998 by talented winemaker Dan Goldfield and noted Sonoma County viticulturist Steve Dutton, this partnership has thrived because of Dan’s exceptional Pinot Noirs, Chardonnays, Syrahs and Zinfandels (and a few other small production varietals including a Riesling for 2011) and Steve’s superb vineyards and viticulture expertise in the Russian River Valley, Green Valley and Sonoma Coast. Dutton-Goldfield owns 80 acres. Of the annual production of 7,000 cases, 95% comes from Steve’s vineyards, primarily those in the Green Valley of Russian River Valley appellation. Steve is the son of famed Russian River Valley winegrower, Warren Dutton, and heads up the Dutton Ranch with his brother Joe. It was Warren that initially suggested Steve and Dan form a partnership. Dan is an energetic, high-spirited and talkative winemaker who as a young man intended to enter medical school. A wine epiphany at a tasting with winemaker Larry Brooks (Acacia, Campion) led him to pursue a master’s degree in enology from University of California at Davis. He still retained a medical connection, his surgeon spouse. Dan is an avid cyclist and some of his vineyard sources have been discovered on his frequent bike rides in the region. Most of the Pinot Noir vineyards are in very cool sites located in the Green Valley with a special bottling from Mark Pasternak’s Devil Gulch Vineyard in Marin County. 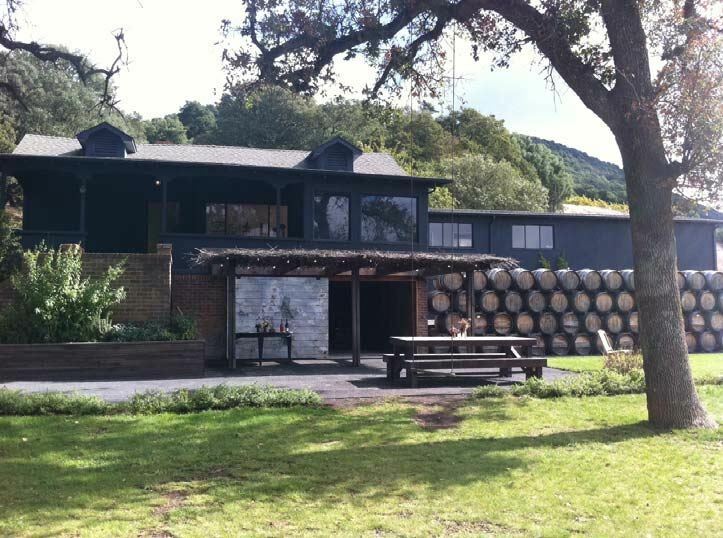 Dutton-Goldfield opened a tasting room and storage facility at the western corner of Gravenstein Highway and Occidental Road in Sebastopol which is open daily. Dutton-Goldfield wines are sold primarily through the tasting room, a mailing list, a Wine Club, and website online store (www.duttongoldfield.com). The tasting room staff is particularly warm and well-informed and I would encourage you to visit. A very informative e-newswletter is published frequently. Winemaking is straightforward using de-stemmed grapes, 5-day cold soaks, open top bin fermentations, and aging in 45% to 60% new French oak barrels. Different clones are vinified separately. Dan’s wines are always beautifully balanced with modest alcohols (often less than 14%), hi-tone acidity and juiciness, and perfectly integrated oak. I recently tasted through a number of new and recent releases at Dutton-Goldfield with Valerie Wathen, a spokesperson and long time member of the Dutton-Goldfield sales and marketing staff. A few of the wines have not been released and since they are in limited production, are offered first to mailing list and Wine Club members. However, she agreed to provide a link to an order form for these and other wines for PinotFile readers: www.duttongoldfield.com/acrobat/pforderform.pdf. You can also phone her personally at 707-823-3887. Wine Club members enjoy significant discounts and access to all limited production releases and magnums. 13.5% alc., pH 3.49, TA 0.66, 2,336 cases, $35. Released March 2012. Sourced from five Dutton Ranch vineyards with 40% from Mill Station Vineyard. 100% barrel fermented. Aged 10 months in 40% new French oak barrels. · Attractive aromas of fresh pears, lemon and roasted nuts. Flavors of baked pears, green apple, and citrus in a crisp, bright style with some length on the refreshing lemon-driven finish. A terrific food wine. Very good. 13.5% alc., pH 3.47, TA 0.58, 356 cases, $58. Released November 2011 but still available. From a new vineyard source previously used for Orogeny wines, planted by Dan and Steve in 2002 and located near Occidental. Clones 667, 777 and 115. Highest natural acidity of all the Pinot Noirs. Aged 17 months in 50% new French oak barrels. · Very aromatic with hi-spirited scents of fresh berry mash, blueberry pie and spice. Moderately intense on the mid palate with flavors of raspberries, cherries and a hint of oak, all wrapped in dusty tannins. Notable for a lively cut of acid on the juicy finish. Very good. 13.5% alc., pH 3.62, TA 0.58, 2,598 cases, $38. Released February 2012. The winery’s flagship bottling composed of five vineyard sources including Emerald Ridge and Freestone Hill. Aged 10 months in 40% new French oak barrels. · Fresh and aromatic featuring black cherry, blackberry and boysenberry fruit making an impression on the mid palate and finishing softly with mild fine-grain tannins. Spice and complimentary oak add interest. A solid everyday table wine. Good (+). 13.8% alc., pH 3.53, TA 0.62, 251 cases, $58. Planted by Steve Dutton in 1991 to an array of clones. Pommard, 2A, and Dijon 667 are included in this wine. Aged 12 months in 55% new French oak barrels. · Relatively closed, needing time and swirling to reveal the aromas of blackberry jam, black cherries and cardamom spice. Forceful and assertive in the mouth (the most full-bodied of the wines tasted), yet without weight, offering delicious flavors of fresh blackberries, black cherries and baking spices. Round and polished with a Grand Cru finish. Still showing some oak which will integrate with maturation in the bottle. An outstanding wine that is liquid nobility. Very good (++). 83 cases, $58. Limited release to Wine Club. First Anderson Valley Pinot Noir for Dutton-Goldfield. · Perfume and flavors of dark red and black stone fruits with a complimentary note of savory herbs and oak. Discreetly concentrated with fine-grain tannins, zippy acidity and good finishing length. Very good. 30-40 cases, $58. From a vineyard farmed by Mark Pasternak on Hicks Valley Road near Corda Family and Stubbs vineyards. Mark planted this 18-acre vineyard in 2006 with Dijon 115, 667, 777, 828, Swan and 2A clones. DeLoach, Hartford Court and Woodenhead are also in line for fruit in the future. Inaugural bottling from this very cool site. · Open and generous nose with aromas of fresh pie berries, spice and loamy earth. Delicate, yet flavorful core of dark red stone fruits and berries caressed by well-ripened, mildly firm tannins, and infused by bright acidity. A winegasm. Very good (++). 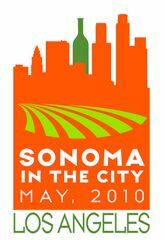 Sonoma County vintners are bringing “Sonoma in the City” to Los Angeles with the “Taste of Sonoma: On Tour grand tasting will be held April 24, 2012, at The London West Hollywood and will feature over 100 wines from 15 distinctive regions. Dan Goldfield will be participating, offering a unique tasting of the past, present and future of one of his wines (a past vintage, current vintage, and barrel sample). Trade tasting in the afternoon followed by consumer tasting in the evening. Special advance tickets are $40. For information visit www.sonomawine.com. This is a unique, relatively new project launched in 2007 by proprietors Andrew Mariani, Andrew Avellar and Kristof Anderson, who acquired 256 acres three miles east of the Sonoma Town Square in Carneros. The property dates to 1858 when Emil Dresel and his brother Julius planted vineyards here, possibly the first Riesling and Silvaner vines in the United States. Most recently, the property was a run-down turkey farm. The trio is revitalizing the property and planted 35 acres of Pinot Noir, Chardonnay Riesling and Sylvaner beginning in 2008. Considerable work was expended to clear the property of debris, derelict sheds, invasive plants and acres of poison oak. An on site winery is planned that will be built to preserve the turkey shed and honor the history of the property. 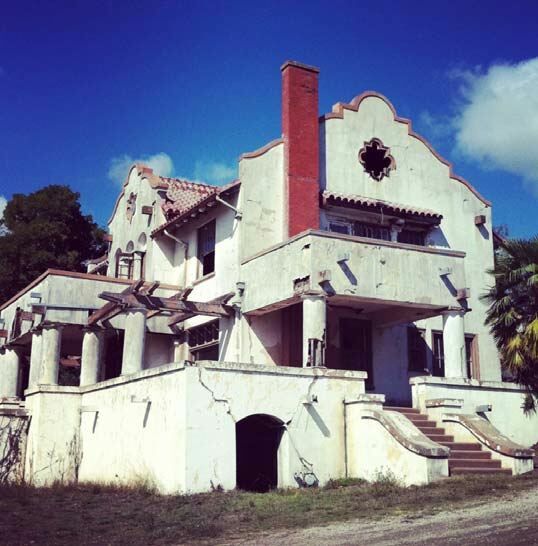 A historic Mission Revival style Hacienda, once home to the Dresel family, will possibly be restored as well, currently the site of impromptu events hosted by the owners and featuring Bay Area chefs (visit the website for upcoming dinners). The restoration will prove challenging as there is no electricity and plumbing so the interior will need a complete update. The trick is doing this while preserving the aged exterior of this majestic home. Currently the winery’s wines are produced from sourced grapes and include a Pinot Noir, Chardonnay, Sylvaner, Syrah and Cabernet Sauvignon. The wines have already found a following and the 2010 Pinot Noir is already sold out. Join the mailing list to obtain future offerings. Visit the stylish and informative website at www.scribewinery.com. Tasting is offered in an underground bunker-like room below the winery’s offices that is quaint and charming, yet very cold on the day I visited. The staff are young and enthusiastic, still new to the game, and enjoyably unpretentious. 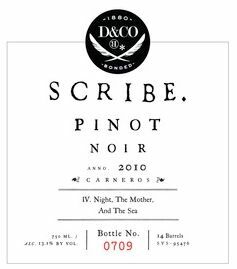 The 2009 Scribe Carneros Pinot Noir was previously reviewed favorably in The PinotFile (www.princeofpinot.com/winery/1220/). The 2010 vintage was sampled and although similar in flavor profile to the 2009 vintage, it was from a cooler vintage and is lighter in weight with more acidity and brightness. 13.4% alc., 350 cases, $42. Martini and Pommard clones. 17-year-old vineyard. Harvested at 22º Brix, native yeast fermentation, aged 5 months in neutral French oak barrels, and bottled unfined and unfiltered. · Bright, unadorned and pleasing cherry aromas and flavors picking up liveliness and interest over time in the glass as the wine warmed. This style of Pinot Noir has become popular for its easy upfront drink ability and refreshing fruity qualities. Very good.